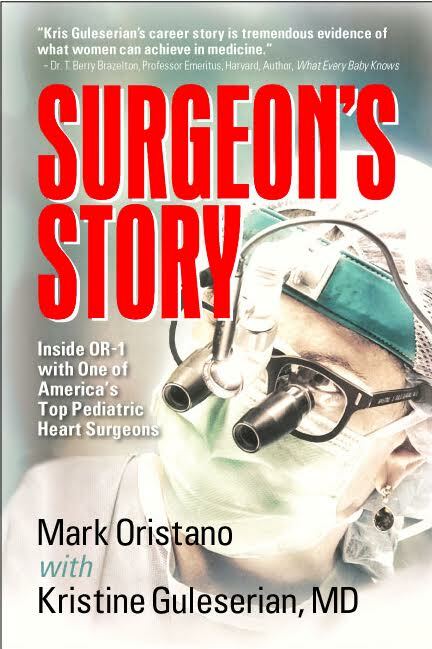 Noted pediatric heart surgeon Dr. Kristine Guleserian has opened up her OR, and her career, to author Mark Oristano to create Surgeon’s Story - Inside OR-6 With a top Pediatric Heart Surgeon. That’s because Dr. Guleserian is recognized as one of the top pediatric heart surgeons in America, one of a very few who have performed a transplant on a one-week old baby. 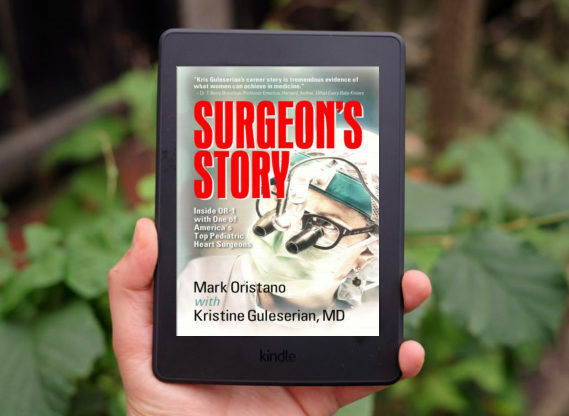 Dr. Guleserian (Goo-liss-AIR-ee-yan) provided her expertise, and Oristano furnished his writing skills, to produce A Surgeon’s Story. As preparation to write this stirring book, Oristano spent hours inside the operating room at Children’s Medical Center in Dallas watching Guleserian perform actual surgeries that each day were life or death experiences. Readers will be with Dr. Guleserian on her rounds, meeting with parents, or in the Operating Room for a heart transplant. 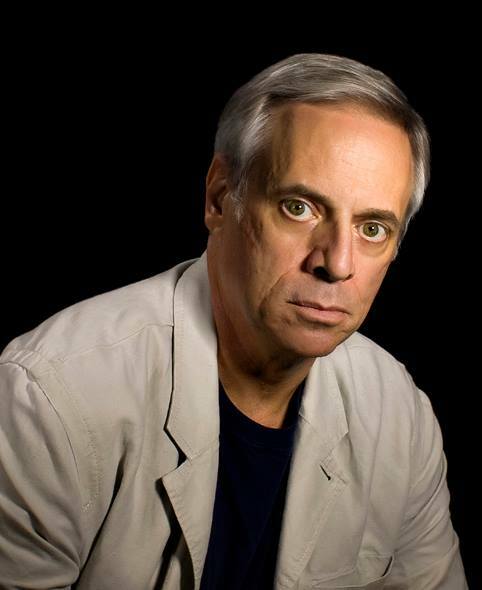 Oristano is successful sportscaster and photographer and has made several appearances on stage as an actor. He wrote his first book A Sportscaster’s Guide to Watching Football: Decoding America’s Favorite Game, and continues to volunteer at Children’s Medical Center. “Are you crying? Oh, no, no need to be crying, everything is fine.” Her wide smile reassured Mom, who put away her tissues. Mark Oristano has been a professional writer/journalist since the age of 16. After growing up in suburban New York, Oristano moved to Texas in 1970 to attend Texas Christian University. A major in Mass Communications, Mark was hired by WFAA-TV in 1973 as a sports reporter, the start of a 30-year career covering the NFL and professional sports. Mark has worked with notable broadcasters including Verne Lundquist, Oprah Winfrey and as a sportscaster for the Dallas Cowboys Radio Network and Houston Oilers Radio Network. He has covered Super Bowls and other major sports events throughout his career. He was part of Ron Chapman’s legendary morning show on KVIL-FM in Dallas for nearly 20 years. In 2002 Oristano left broadcasting to pursue his creative interests, starting a portrait photography business and becoming involved in theater including summer productions with Shakespeare Dallas. He follows his daughter Stacey’s film career who has appeared in such shows as Friday Night Lights and Bunheads. Oristano authored his first book, A Sportscaster’s Guide to Watching Football: Decoding America’s Favorite Game. A Sportcaster’s Guide offers inside tips about how to watch football, including stories from Oristano’s 30-year NFL career, a look at offense, defense and special teams, and cool things to say during the game to sound like a real fan. 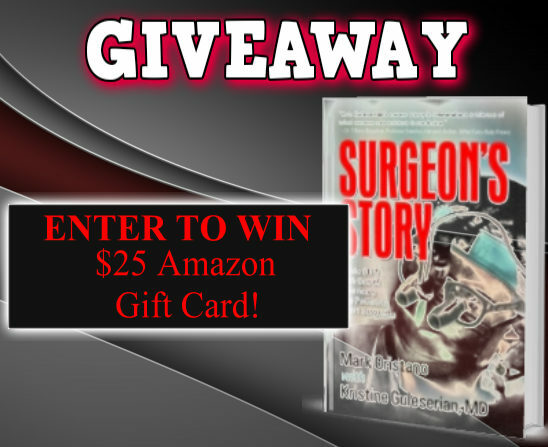 In 2016 Oristano finished his second book, Surgeon’s Story, a true story about a surgeon that takes readers inside the operating room during open heart surgery. His second book is described as a story of dedication, talent, training, caring, resilience, guts and love. In 1997, Mark began volunteering at Children’s Medical Center in Dallas, working in the day surgery recovery room. It was at Children’s that Mark got to know Kristine Guleserian, MD, first to discuss baseball, and later, to learn about the physiology, biology, and mystery of the human heart. That friendship led to a joint book project, Surgeon’s Story, about Kristine’s life and career. Mark is married and has two adult children and two grandchildren.